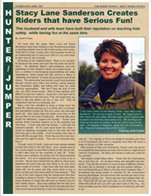 Stacy has been developing young riders to compete successfully in the Hunter, Jumper, Equitation and Pony rings for over 20 years. 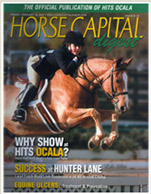 In 1999, Stacy and her husband David, built their first equestrian facility, Hunter Lane, Inc., in Ocala, FL. 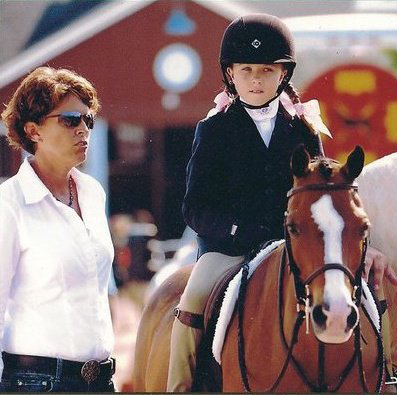 Hunter Lane was home to over 30 horses and ponies with their owners competing in every division from walk/trot, to pony and junior hunters and equitation, to pony jumpers, through the adult jumpers. Between the years of 1999 and 2010, Stacy’s students consistently earned top honors at the country’s most prestigious shows including: numerous circuit champions at HITS (Horse Shows in the Sun), WEF (Winter Equestrian Festival, Wellington, FL), Pennsylvania National Horse Show (Harrisburg), Washington International Horse Show (WIHS, Washington, DC), Devon, Pony Finals (KY), Junior Hunter Finals (East Coast in KY and West Coast in Ca. ), Maclay Regionals (Jacksonville and St Louis), and Maclay Finals (KY). In the summer of 2010, Stacy was approached with an offer to coach the Baylor University’s Division I Women’s Equestrian team in Waco, TX. In her first season, Stacy guided the Hunt Seat team to its highest finish in history, placing third at the NCEA National Championships. In 2011-2012, Stacy lead the Hunt Seat team to its first Hunt Seat National Championship, this was also the first, and only, year that a Big 12 Conference school had won the Championship in the 12-year history of the sport. In May of that same year, Stacy became the first recipient of the National Collegiate Equestrian Association Coach of the Year award. From 2013-2015, Stacy went on to coach the Hunt Seat team for Oklahoma State University, contributing to their Big 12 Conference Championship in 2014. After 5 years of successfully coaching at the Division I level, Stacy and David have decided to return to the professional world, and through a joint venture, opened Dallas Equestrian Center in Dallas, TX. Stacy is dedicated to creating effective, well- educated riders, while developing a solid foundation in order to better prepare riders of all levels and ages for the hunter, jumper, pony, and equitation rings. Please contact David Sanderson (214) 304-5750 or lessons@dallasequestriancenter.com for more information.